Our AutoMagical Accounting platform is a dramatic advancement in small business accounting. 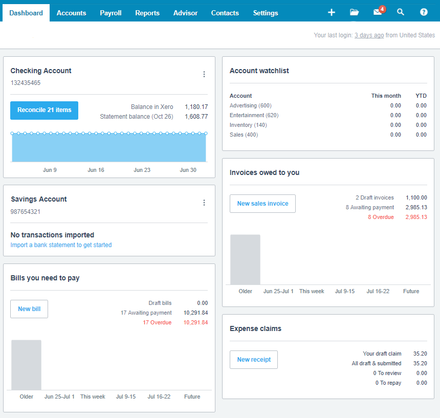 Our core accounting platform, powered by Xero, automatically downloads your bank account and credit card account activity daily. Automatic transaction processing matches your bank and credit card transactions automatically to your invoices, bills and purchases. Your accounting system is available 24/7 on your windows or Mac computer, and on your iPad, iPhone, or Android phone. ​You can provide access to an unlimited number of users, for no extra charge.